Image via Anthony Pezzotti, Philadelphia Inquirer. 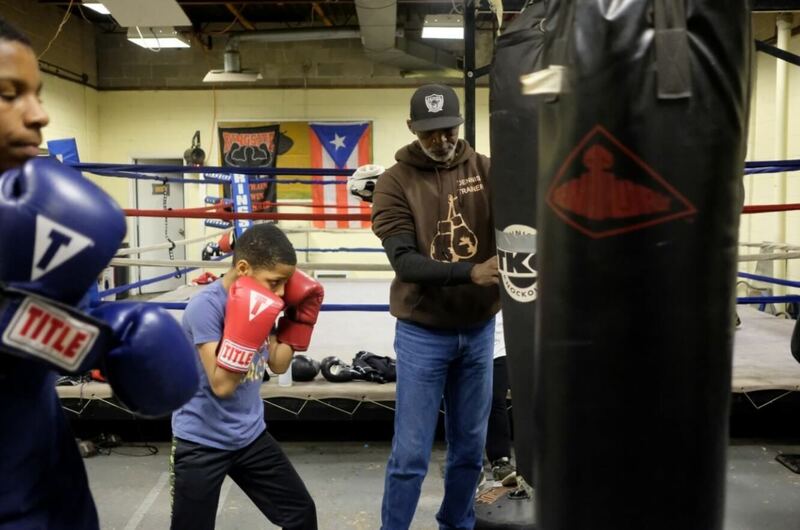 For almost five decades, Winners Reach and Teach Boxing Gym in Chester has been offering free boxing lessons to local youths to help keep them off the streets, writes Vinny Vella for the Philadelphia Inquirer. Over the years, owner James Starkey’s program has produced around 20 professional boxers. His boys are also a mainstay at amateur Golden Gloves tournaments and, last year, won three state championships. “When a guy boxes, all that violence tapers off, because he knows what he’s capable of,” said Starkey. Most of the students he takes on have been touched by gun violence in some way. Some of them have been shot, while others have lost loved ones. However, that stops at the door of his gym at the previously underused community center by the corner of 11th and Upland streets. Starkey, 79, is also quick to point out that titles are not the only purpose of the program. Along with his partners, Starkey is training Chester’s youth for another type of victory. Read more about Winners Reach and Teach Boxing Gym in the Philadelphia Inquirer by clicking here.